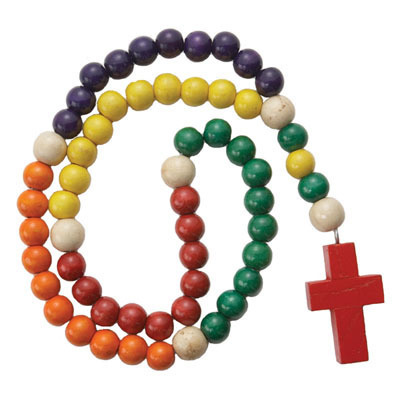 This rosary has large colorful, non-toxic wooden beads, strung together on a durable nylon cord. A perfect way to teach a young child to pray the rosary. Measures 25" in length and is packaged in a decorative box. Perfect Baptism or Birthday gift!